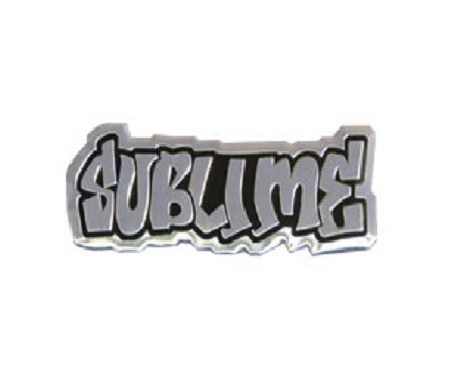 This is a metal embossed emblem sticker with the Sublime logo. Since it is a metal sticker, it must go on a flat surface, NOT curved. Measures approximately 2 1/2" long. Officially licensed Sublime merchandise.